For 2 months, Westporters have watched and waited as Vespa restaurant was transformed into The Port. Last month, The ‘Port sailed into town. Westport’s newest restaurant — filling the former Vespa space in National Hall — bills itself as a casual, family place. It’s a spot to head to after Little League games and school concerts. Local memorabilia hangs on the walls, and a hey-I-just-saw-you-at-the-PTA-meeting vibe fills the room. 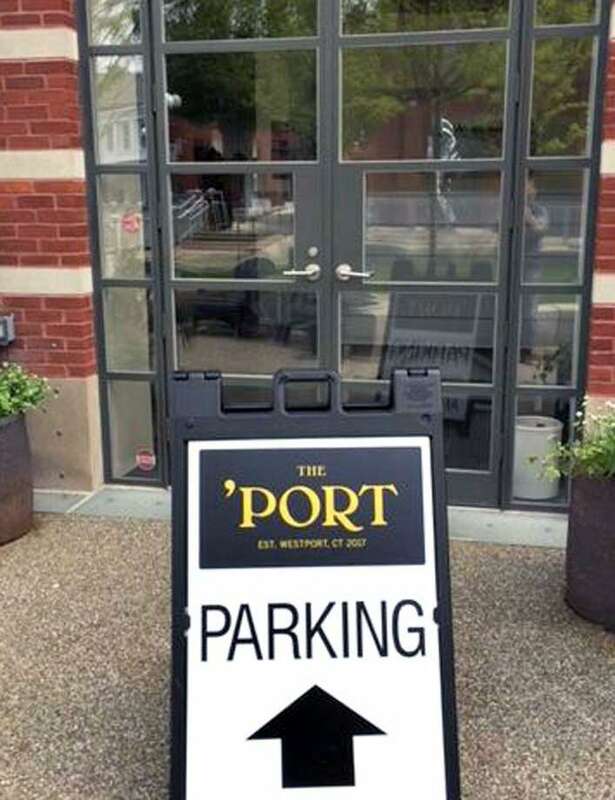 The ‘Port is also hiring local teenagers as hosts, servers, even busboys. This is clearly not your typical restaurant. For years, our local eateries have been staffed by non-local workers. The more expensive places hire “professionals,” which makes sense (though I wonder how legit those Italian accents at some places really are). But plenty of other restaurants don’t need someone to tell you where the radicchio was grown, how lovingly the sauce was ladled, or how humanely the lamb was treated before it was slaughtered. And every restaurant, at every price point, needs people to answer phones, pour water and wash dishes. But when was the last time you saw your next door neighbor’s kid — or your own — doing any of those things? Probably around the time you saw them mowing a lawn. Westport has become an importer of what once were called “teenage jobs.” Besides restaurant and yard work, they include retail. I can’t recall the last time I had a downtown purchase rung up by a kid I knew. The reasons are legion. Teenagers today have very little free time. Between five AP classes, sports, music, tutors in every subject, building toilets in Honduras and creating after-school clubs to bring peace to the Middle East, there are only a few hours left each day to post Snapchat stories. Something’s got to give — and it’s work. Simultaneously, working in a restaurant or store has lost its cachet. Once upon a time, finding a job was a Big Deal for any teenager. “Getting working papers” was a rite of passage. Paying for something with your own cash was cool. Swiping a debit card — replenished frequently by the Bank of Dad — just isn’t the same. All of this is not to imply that today’s teenagers don’t work. Plenty do. They write software, create websites, and clean up the computer messes we older folks make. They start their own companies, selling t-shirts, stationery and Kombucha (look it up). And, for some reason, they still babysit. Right now, over 400 Staples High School seniors are completing internships. This 5-week program sends soon-to-graduate students into businesses, schools, law and doctor offices, recording studios, catering kitchens, construction firms — and many other places — throughout Fairfield County. Some travel to New York, working on Wall Street and for Major League Baseball. One young man is interning this spring for Tesla — in California. It’s a fantastic idea. By May, seniors are totally done with school. They look ahead, with a combination of excitement and fear, to whatever comes next. Getting them out of the cafeteria, and into the “real world” — where they must be on time, put down their phones, complete important tasks and figure out actual problems — is the best thing that can happen to them. They meet new people, many of them much older than 18. They gain confidence. They take a huge, far-greater-than-5-week step toward adulthood. And when they get back together as a group for prom and the rest of pre-graduation activities, it’s with a palpable sense of gratefulness for their friends, teachers and, yes, their town. That’s the kind of thing that work does for a teenager. I remember my first job. Like so many other Westport kids in the 1970s, I was hired by Chubby Lane. He ran the concession stand at Compo (a downscale version of the current Joey’s), and had a (great) burger place where Willows Pediatrics is now. I cooked on the hot grill (and cleaned it). I got french fry grease on my face. I swept up. I learned to handle customers. I made friends. I hated the job, and loved it. I hope the kids at the ‘Port have a similar experience. I know they’ll remember it, decades from now.